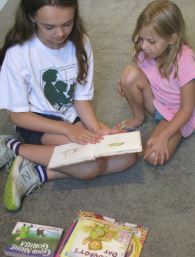 Read with or be read to by a Book Buddy. Sign up for 30 minute sessions. Adult must stay in the Library with young children.